When you have gotten burned in the past after buying a used vehicle from a private seller, you are going to go into the next buying situation with your eyes wide open. Shopping for used Audi cars for sale in Shoreline through Carson Cars will give you the added peace of mind that you need to know that you are getting nothing but the best from all angles. Carson Cars is a family owned and operated dealership that has been making customers happy for nearly 50 years. Not only have they put the years in and have a great deal of a experience in the used car selling field, but you can also rest assured in knowing that you are dealing with an award winning customer service team. No matter what questions you may have or the concerns that cross your mind, the sales team at Carson Cars will be there with you every step of the way throughout the buying process. Have you ever had the chance to drive an Audi? If the answer is no, the chances are good that you have always felt as though this is the type of vehicle that you simply cannot afford. However, you should know that buying a used Audi through Carson Cars will give you an extremely competitive price so that you know you are able to stay well within your budget. Once you pick the Audi of your dreams, you are going to be able to drive away happy knowing that you got the best deal. 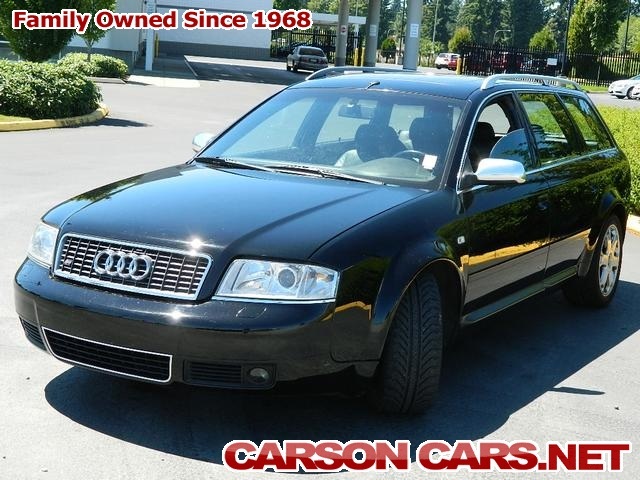 If you are interested in used Audi cars for sale in Shoreline, Carson Cars has the selection you need. Call (855)583-9356 or stop by for more information.